Our Price $11.00 Another currency? The Healthy Herb Guide ebook is a wonderful guide to growing and using herbs around the house. 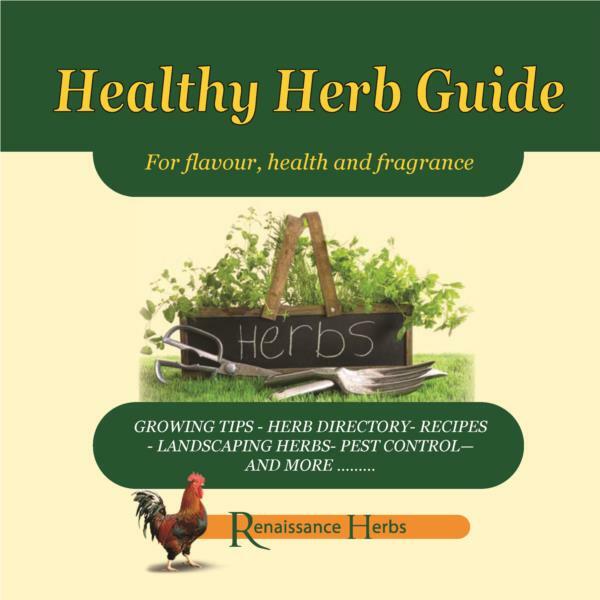 Written by Renaissance Herbs who are growers and suppliers of herbs all around Australia. The ebook goes through things that you would need to consider when you are planning a herb garden, the culinary herbs that can add a whole new, delicious dimension to your home cooking, make your own herbal teas, help your family pets, how to use herbs to control pests naturally, flowers that you can eat and add colour to your food, some recipes and also a handy A-Z directory of herbs.